The Helena morpho, is a Neotropical butterfly of the family Nymphalidae. It is found in the rainforests of northern South America. The wingspan is 3.0 to 3.9 in. It is known for its metallic blue and shiny wings. 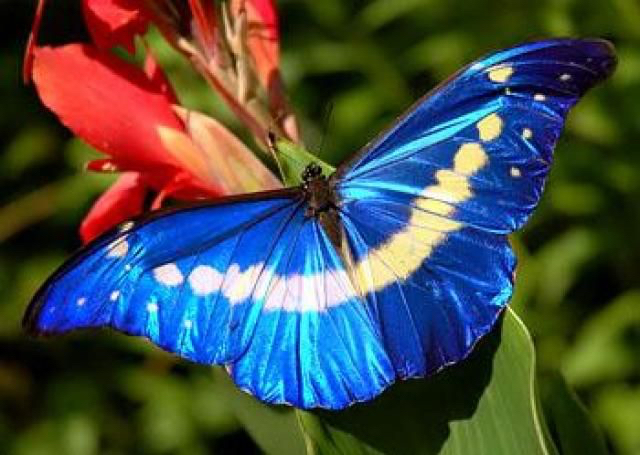 Many authorities consider Morpho helena a subspecies of Morpho rhetenor (Blue Morpho), and it is sometimes named Morpho rhetenor helena.